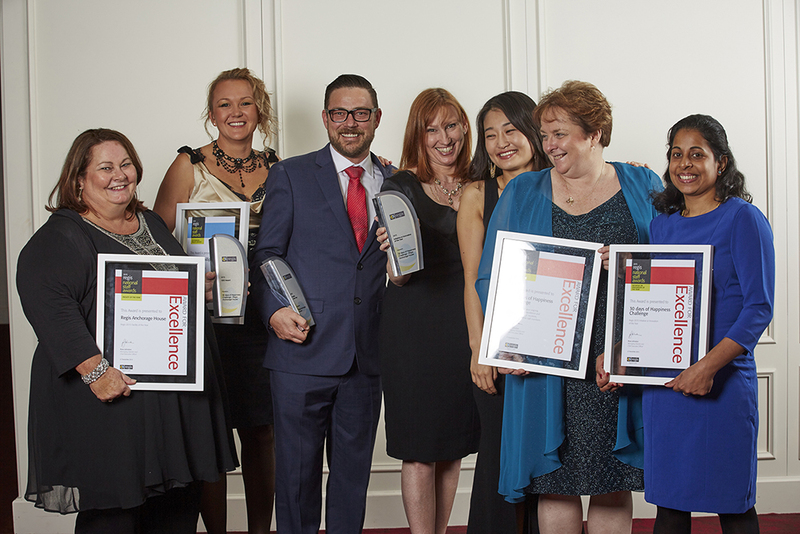 The 6th National Staff Awards ceremony was held Friday 27th November 2015 which recognise the combined skills, energy and efforts of its staff in twelve categories and encourage excellence and outstanding performance in line with business objectives and values. We have skilled and passionate staff, and volunteers, and to be able to distinguish them in this manner is important to recognise. The winner of this award demonstrated consistent adherence to The Regis Way (Optimism, Passion, Integrity and Respect), a positive impact through exceptional service and meaningful support they provide to business units and Regis people and displayed strong teamwork ethic. They have received feedback from customers as well as management for exceptional service, are consistently high performers, demonstrate exceptional quality of work, proficiency, commitment, humanity, initiative and reliability and without thought go above and beyond their role. Todd has had many roles at Regis and excelled in all, whether acting as FM, RM or in acquisition support. He has a strong commitment to the broader team and he continuously demonstrates an ability to complete the task and then try to improve on the result so that the business continues to benefit. Todd has a passionate, optimistic and relaxed approach to all challenges, regardless of his workload, which is reflective of the frequent feedback received from his staff, residents and families. In her role, Bernadette works closely with many Regis business units including the ACFI team, Facility Managers, Office Coordinators, Accounts Receivable and IT. 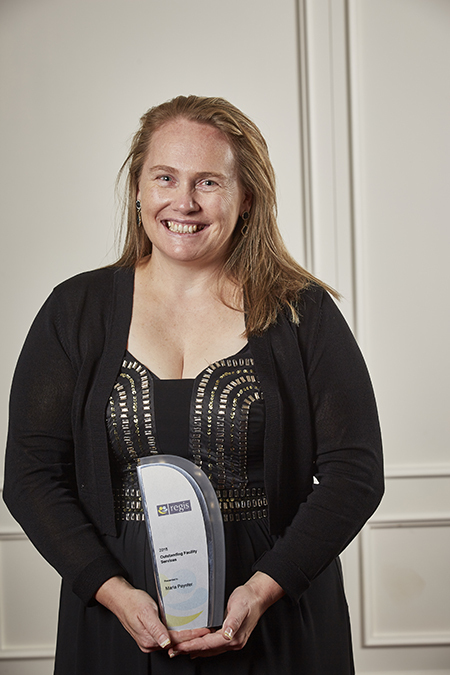 She has been instrumental in streamlining claiming processes and has introduced processes to minimise errors and worked closely with Learning and Development to contribute content to training programs that she subsequently delivers to improve practices. Bern’s diligence and team-work ethic, combined with the strength of the relationships she’s brought and developed have resulted in a huge amount of reclaimed subsidies and unclaimed accommodation supplements. The finalists demonstrated outstanding service to residents, families and fellow staff through the support they provide, along with a demonstrated commitment to safety, quality and efficiency.They demonstrated initiative in providing additional service, understanding and applying The Regis Way and have a personal commitment to continuing education for themselves and/or others. This award was open to both teams and individuals in the areas of catering, laundry, lifestyle, maintenance and allied health. Maria began working at Regis in 2013 and is famous for her humble reply to a compliment for a job well done- “That’s what Regis says we should do and that’s what we do”. She can be relied upon to deliver excellent service to all customers in a variety of duties at any given time regardless of the situation, whether it’s in her role or assisting in the laundry and kitchen. Maria is sincere and shows pride in everything she does with a desire to learn and improve. Shannon’s had a great impact on Anchorage since joining in 2014- attributed with introducing or running over 10 long term initiatives to improve resident welfare. She is motivated towards continuous improvement of the facility program (with the facility’s Lifestyle Audit results seeing a sharp incline since Shannon’s employment) and her own development. Shannon has used her style of friendly, open, and passionate leadership to great advantage when building a solid lifestyle team who have run several programs and events for all staff to participate in and improve morale. The finalists in this award demonstrated an outstanding contribution to improving care and compassionate dementia care. They demonstrate understanding, compassion and courage to ensure our dementia residents are the centre of everything they do. They are committed to ongoing education of themselves and others and have applied The Regis Way with positive results for dementia residents in their care. 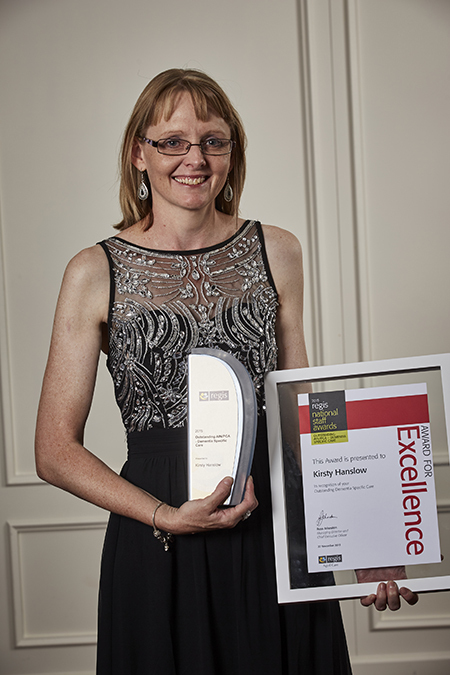 Kirsty was nominated for outstanding commitment in both her professional and personal life. She is committed　to the improvement of her own and her colleague’s knowledge and skills in caring for dementia residents. An OWL mentor, Kirsty finds the “true” person that is often hidden under the symptoms of dementia. She researches resident’s past interests, so she knows exactly what to talk about to “bring them out of their shell”. She enlists her whole family to assist in programs and initiatives to bring the residents joy, comfort and quality of daily living. Joanne has worked at Ontario for over 17 years with 12 in the dementia unit. She works exceptionally hard to build and develop therapeutic relationships with the residents. She also builds and nurtures relationships with families, which is highlighted by the constant feedback from family and number of testimonials received. Joanne is described as a ‘sponge’ who is devoted to educating herself and others on better practices. She is an OWL mentor and is sought out for her opinion on care and lifestyle of residents with challenging behaviour. This award goes to a leader who has established and implemented clear purpose, values, directions and performance expectations for their team or department. They have demonstrated timely and effective decision making, reporting, and risk management skills; including adherence to Regis policies and processes. As a true leader they inspire those around them and are supportive of other’s creativity, collaboration and innovation, and show social awareness and responsibility. Snai’s nomination gave evidence from residents, direct reports and comments from other　staff for her positive team and garnered appreciative diners. She was described as responsive to requests, proactive with initiatives and when provided with constructive feedback, she takes this on board positively. Snai’s pride in her work sees her relationship with residents, especially fussy eaters, as a high priority to ensure the food is appreciated and the residents are happy. Snai has trained other Regis chefs and her team turnover has been kept to a minimum under her leadership and guidance. Described as capable, committed, reliable and supportive, Francis has a demonstrated passion for both his team and Regis. Being a person with an extraordinary capacity for work, Francis is a team player who leads by example and will get his hands dirty to get a job done. The improvements he has implemented show increases in all areas including resident satisfaction (drop in complaints), WHS and staff morale/ retention. 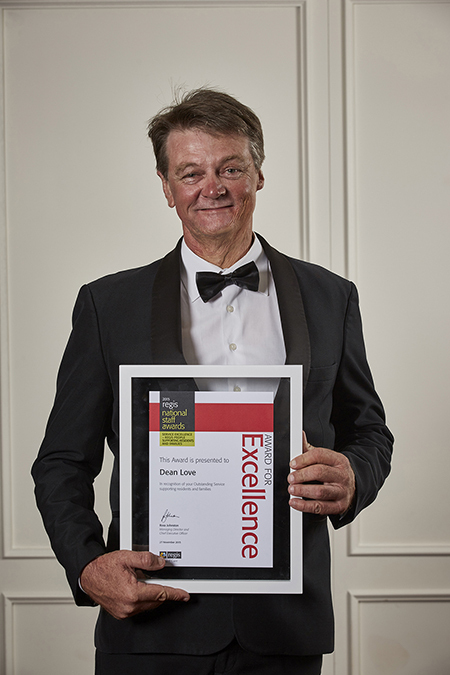 He is supportive to all areas of the business which is reflected back in Yeronga’s output and service quality. 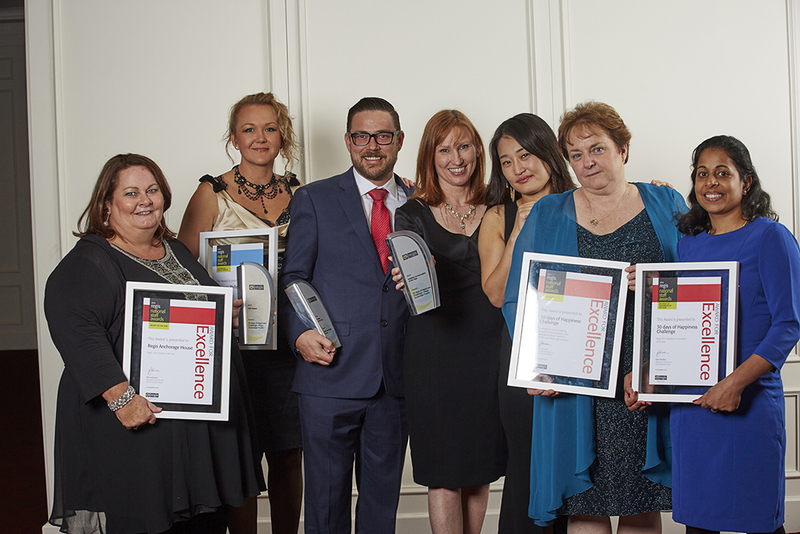 This award recognises staff with a strong commitment and resourcefulness in improving Workplace Health and Safety. This may be demonstrated by identifying hazards in the workplace and implementing effective solutions to control these hazards; creating workplace routines or procedures which lead to a safer workplace and/or reduced injury rates; and/or performing actions which create improved health and safety outcomes for their fellow colleagues and/or residents. 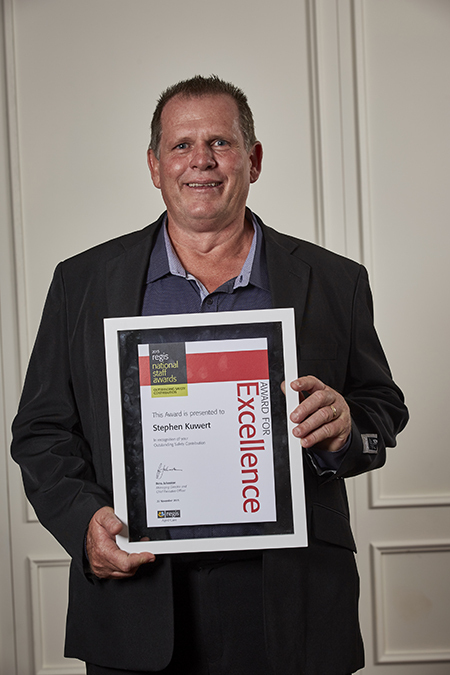 A finalist in the 2010 Awards, Stephen’s nominations again cited strong examples of his initiatives in getting a better and safer working environment for the residents, staff and families through sharing of his ideas. Steve is a strong supportive leader who is committed to safety/injury prevention and is always aware of the possibility to injury to staff and residents. He instils a sense of safety in the Maintenance Officers as he leads by example especially in crisis situations where he will move mountains to get the outcome required. A finalist in the 2015 NSW Safe Work Awards (government initiative), Ngametua’s (Tua) is described as enthusiastic, friendly, dedicated and fun. As AIN and Health and Safety Representative Tua has introduced new initiatives to improve mental health and physical safety of her colleagues such as “Warm Up for Work”. Hosted twice daily with ten exercises to music, staff have reported increased energy levels, enthusiasm and enjoyment during their shift. Quantitatively the facility has showed no lost time injuries or injuries requiring medical treatment from participants involved. This Award goes to the registered or enrolled nurse or clinical manager who has demonstrated outstanding and compassionate care. They have the ability to be an advocate and professional role model and lead, develop, coordinate and/or participate in programs that have a positive outcome for the health and well-being of our residents. They also show a commitment to safety and quality and to continuing education for themselves and others. 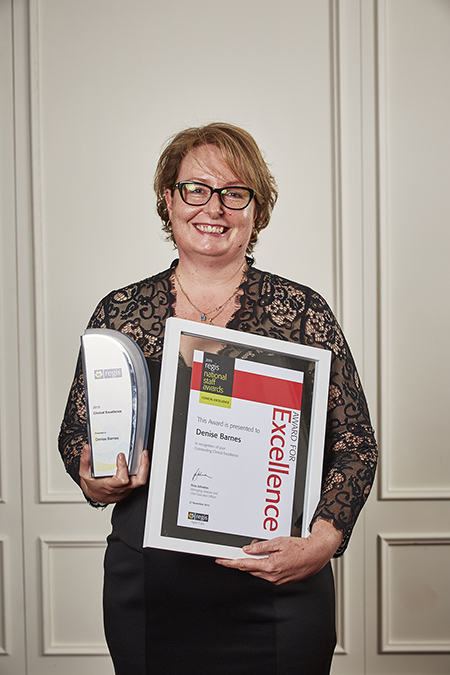 A finalist in the 2013 Awards for ‘Outstanding Leadership’, Denise continues to impress with her leadership, passion, commitment to education and initiative. Examples given included her support to Tiwi for a site audit, her review and improvement of clinical documentation and willingness to step into other interim roles as require. 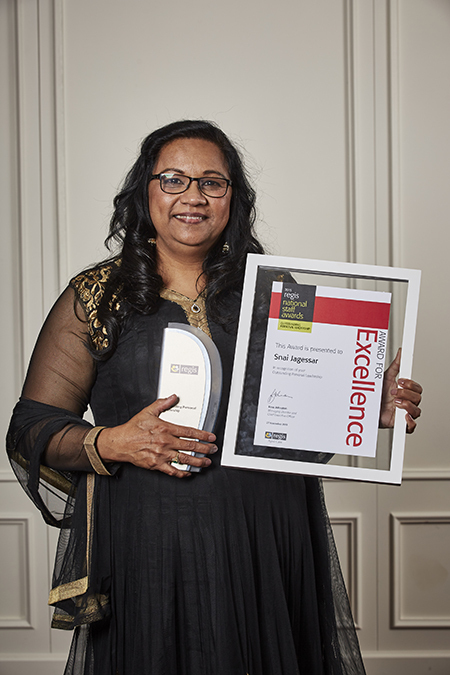 A leader who leads from the front, Denise strives to learn more about the aged care business and clinical challenges, taking that knowledge and passing it onto staff members across Regis. Helee is a positive leader with a strong commitment to her staff as well as innovations and methods to motivate and educate. Helee’s colleagues and management have described her as passionate, loyal and trustworthy with a gentle disposition ensuring that resident care is the primary focus- we are doing our best everyday and residents feel like they are part of a family. Examples showed she has embraced every opportunity to learn, through various courses and seeking mentoring from senior staff to improve and grow constantly. The carer who wins this award demonstrates an outstanding contribution to improving care and outcomes for residents.They strive to achieve positive results in resident care every day, sometimes in the face of adversity or other challenges. Daily they demonstrate understanding, enthusiasm, compassion or courage, above and beyond their role as a carer. They uphold Regis’ values, objectives and policies and consistently show a willingness to ensure our residents are the centre of everything they do. Jagjeet (Jack) was nominated for his commitment to care, compassion, enthusiasm and attention to detail. Residents were quoted saying that Jack is always helpful, caring, and friendly and never walks away from someone in need. Everything Jack does is for his residents and nothing is too difficult. He is constantly thinking of ways he can improve residents’ quality of life on a daily basis. Jack is devoted to guiding the team along as a passionate and committed OWL buddy. Anna is described as being committed to the best care in ensuring residents feel loved and have dignity. She achieves this through attention to detail- whether it is ensuring resident’s cultural background is understood; they are beautifully dressed and presented; or the wing she works in is tidy and well presented. Anna assists in all areas of care within the facility and even volunteers in her own time to assist lifestyle in outings. This award goes to those who have made a positive impact through the support and exceptional personal service to residents, families, suppliers and others. They have demonstrated proficiency, humanity, initiative and reliability in providing for the needs of our customers. The recipient’s work practices are aligned with Regis’ values, objectives and policies, and they have consistently ensured that “Living, with Support” is more than just a statement, it is a way of life. 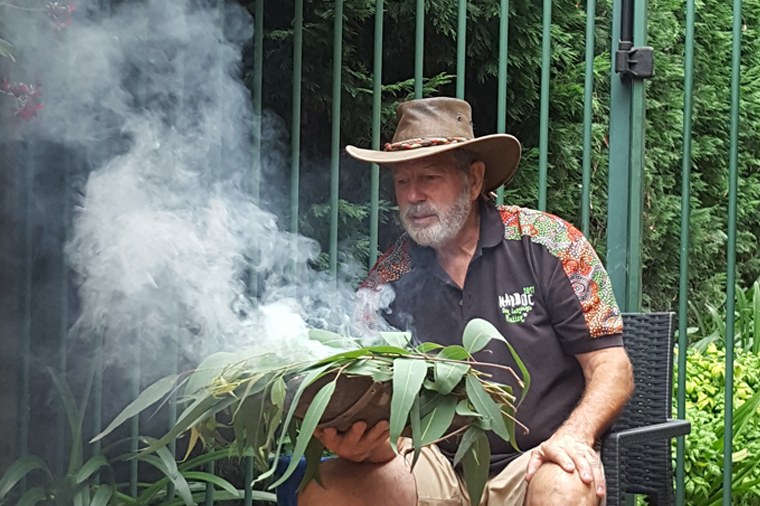 Dean is Yeronga’s MO and WHS Officer. But really he is the “go-to guy” no matter what the issue. Dean is truly dedicated to his job and the facility- he goes above to assist everyone including lifestyle by getting into costume for events including the recent RegiSafe competition, running the ‘Men’s Club’, and helping out in crisis events without being asked. Dean is a true ambassador of Regis with the highest integrity, exceptional skills, leadership and innovation. Every day he has a positive impact on all he encounters. Joel was nominated for his consistency in displaying service excellence in his various roles throughout Regis. 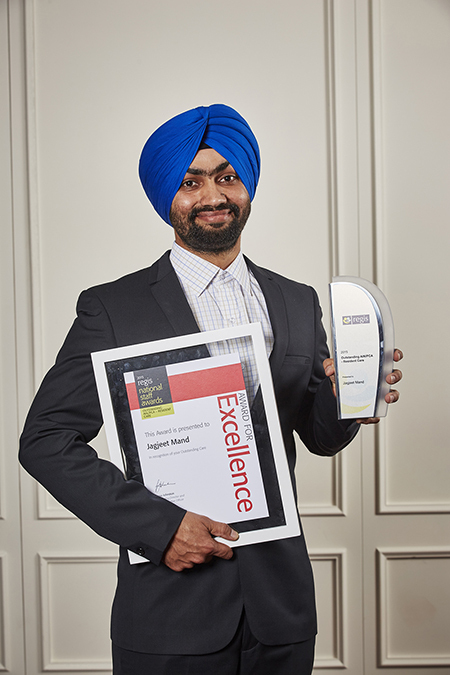 He is renowned for being unfailingly enthusiastic, helpful and successful – he is the picture of ‘Customer Service’. Joel positively embraces change and consistently receives positive feedback from care recipients, staff and management, as well as assessors. He will work additional hours and across various shifts to ensure superior customer service is demonstrated by his team. He believes the team are the “sum of parts” (each member plays their role in any success). This award recognises and celebrates the outstanding contribution by a volunteer in terms of time, talent and service along with dedication and commitment to the residents and staff of Regis. 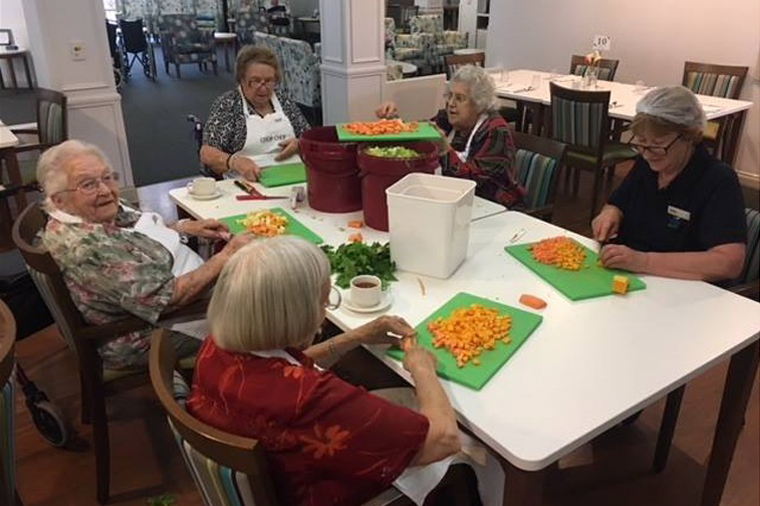 Volunteers play an essential part in each resident’s quality of life by providing support for their well-being, promoting self esteem and personal fulfillment through a social and creative environment. Greg began volunteering when his friend moved into Sherwood. Since then Greg has become an invaluable team member for both the staff and the residents. He visits three times a week from 9-3pm assisting in anything that is required whether it be running the Men’s Shed, having pool competitions, organising bus trips or taking residents for walks. He even joins in with staff events, including footy tipping (he won in 2015!) and lunchtime quizzes. 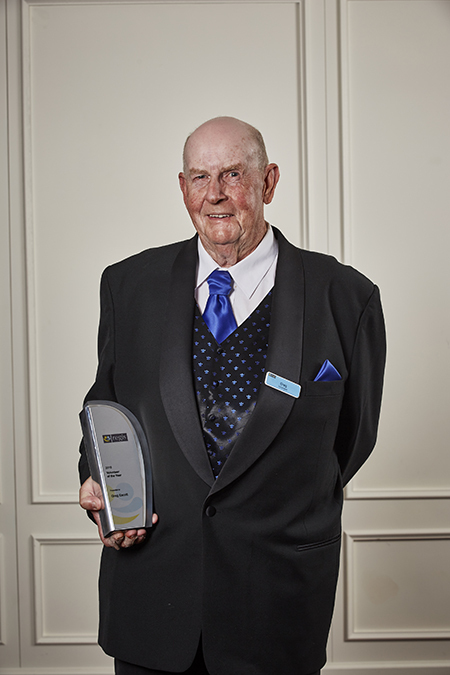 He plays a huge part in making everyone’s lives better- Greg is a much-valued volunteer. Jenny has volunteered at the facility for over 11 years and was nominated by staff and residents, who gave numerous examples of how Jenny has enriched everyone. Jenny is extremely supportive of the Activity Team and is always assisting or hosting events. This included how Jenny has incorporated her volunteering with her dance studio business- preparing student recitals and bussing residents in for morning tea and performances. Jenny is a much loved member of the team who thank her for her decade-long commitment to our residents. This award goes to those who have made a positive impact to Regis by improving or developing a product, service or process. The initiative that has had a positive impact on the business, our care recipients, the facility or the wider community with an outcome that powerfully demonstrates our commitment to ongoing improvement and an innovative approach. In October 2014 Anchorage ran a “30 Days of Happiness Challenge”. This initiative came when Anchorage was experiencing significant changes in Key Personnel and there were identified issues with staff performance, culture and morale. The campaign began as a way to boost staff moral, promote team work and build a happy positive culture. The challenge saw the creation of a “Wall of Awesomeness” with over 140 notes of gratitude exchanged between staff over the month. Staff selected a challenge daily from the “random act of kindness box” and awards were given to staff who displayed positivity, teamwork and kindness. 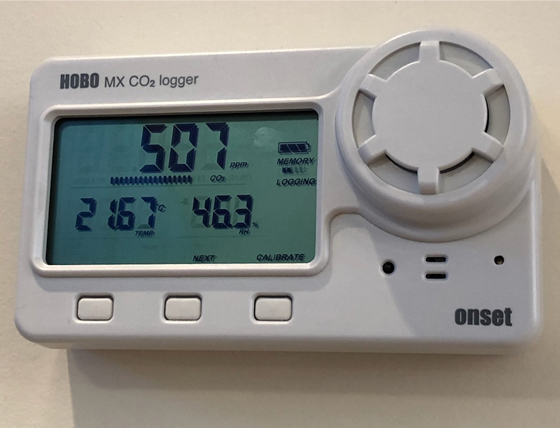 The campaign was embraced by staff and Management and naturally saw a flow-on effect to residents as the initiative helped make their home a happy, fun and energised place to be. The Victorian Residential Art Program is delivered at 10 facilities per week by Roving Art Therapist Jane Mepham. 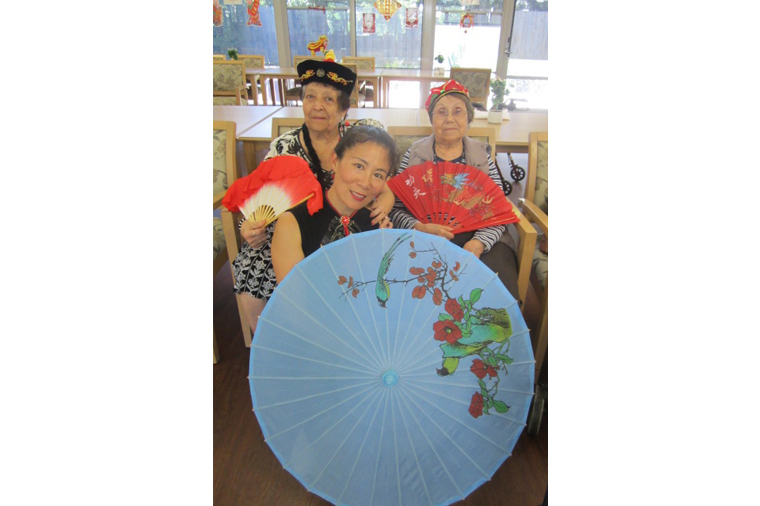 Jane is warmly welcomed by residents when she arrives to provide either a painting or an art appreciation session. When Jane runs her classes in the dementia units, a sense of calm is instilled in those who are painting. Many of budding artists have never painted previously and a range of amazing talent has been discovered! The completion of a piece of art has given many of residents a significant sense of achievement and pride when they see their work framed and on the wall. 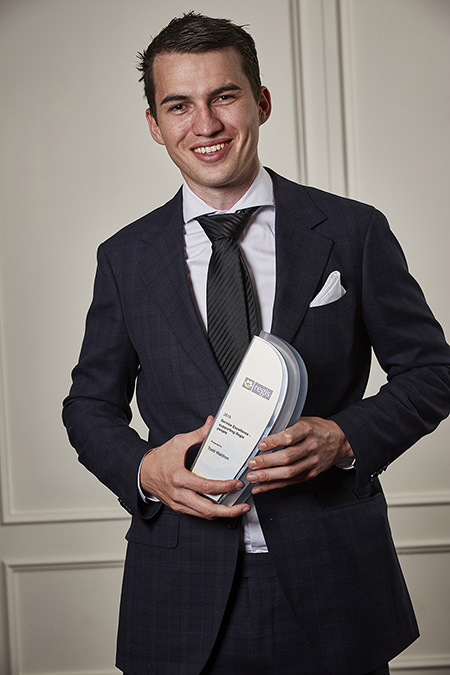 This award was solely chosen by Regis CEO and Managing Director Ross Johnston and goes to an individual or team from any of 11 award categories. The winner of this award has shown exceptional skills, leadership and innovation in their category, be of the highest integrity, and had a positive impact on residents, the facility or the wider community. Ross had the massive task of selecting a winner from 150 finalists and did not know who the winners in these categories were before he selected the recipient. As the sole judge on this award Ross felt the 30 days of Happiness Challenge was outstanding in commitment to Regis, our care recipients and staff. Both finalists not only met all criteria to be finalists they exceeded expectations in their own unique ways. Anchorage prides themselves on being a champion for staff development. Many key staff have moved onto bigger challenges within Regis including Courtney Kenyon who was a finalist in the 2014 Awards for Customer Service. Anchorage’s extensive and detailed nomination mentioned a plethora of initiatives – from lifestyle to care to staff- that show they are ‘thinking outside the box’ to ensure Anchorage is a great place to live and work. Allora Lodge is one of the first greenfields Regis built in 1997. An older facility, Allora is known for its staff’s warmth and care. Teamwork is paramount at the facility and staff are made to feel valued – contributing to the ‘family’ culture at the site. This was attested to by the many resident feedback forms, testimonials and letters. 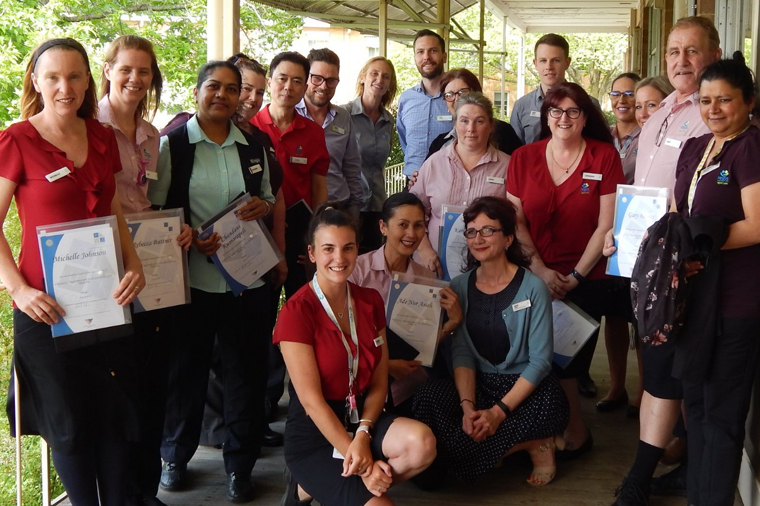 Safety at Allora is vital and saw them receive an award for Outstanding WHS Performance in FY15 in recognition of its improvements and achievements.